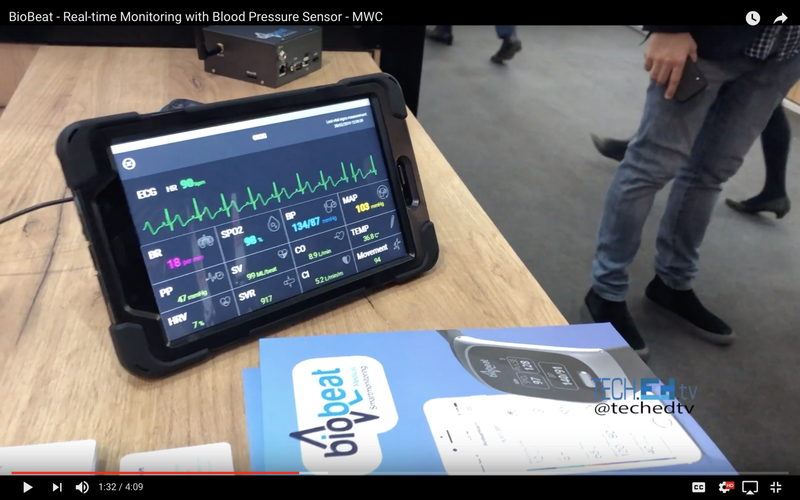 A Israeli Startup BioBeat has an innovative Blood Pressure Sensor integrated to other components. The Israeli pavilion was full of great startups and technologies with over 60 demonstrations and very cool products. Our team went to see “BioBeat,” a heath & wearable device company that has created a wearable sensor that can capture many vital signs including “Blood Pressure” in real-time. This all comes in a wearable format, either as a disposable device for hospitals or a watch to carry around and for your own personal use. 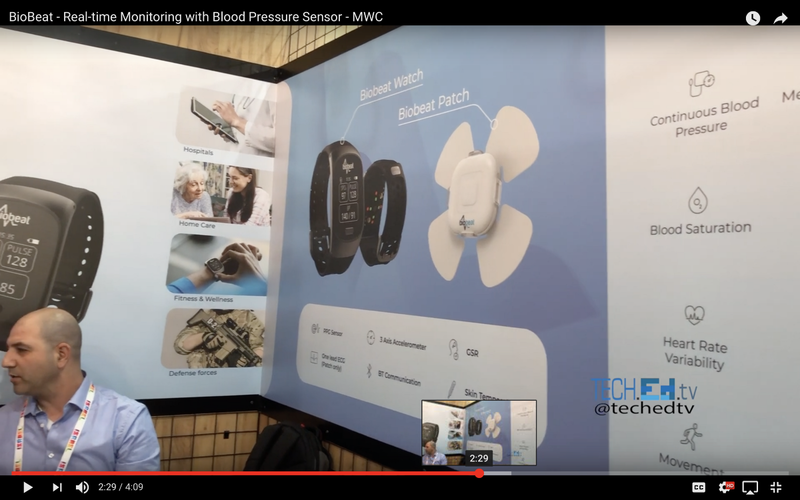 The sensor itself is wireless, and a “patch” version which is designed to be disposable for a hospital settings, or any emergency room, or care facility. BioBeat is under FDA trials in the United States but has had approvals for other countries. 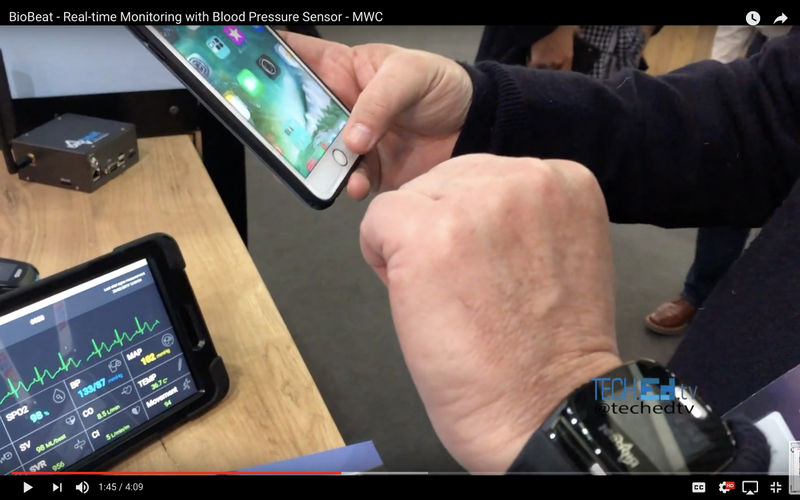 This was one of the most impressive technologies we saw in health and mobile devices at the MWC.